Slovenia. 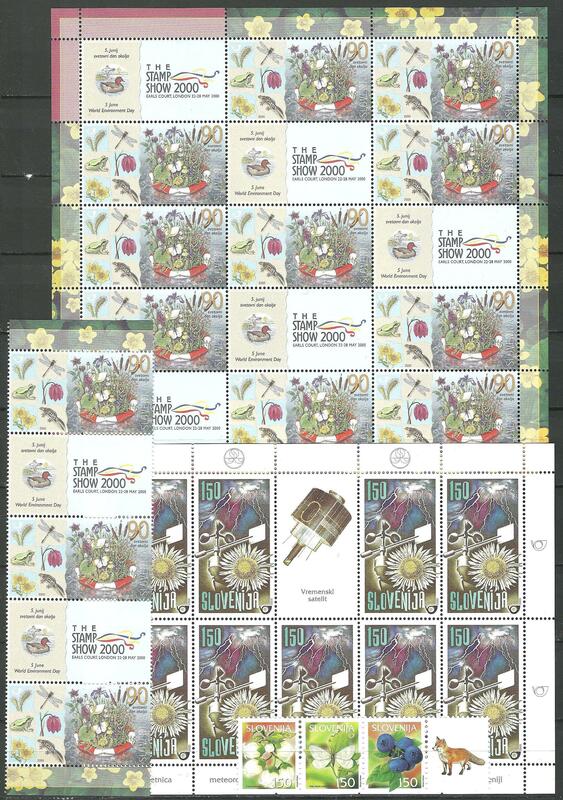 Apparently complete MNH collection 1991/2011 with single stamps and miniature sheets, includingthe Czech reprints. Rather haphazardly sorted in several albums and envelopes. Due to improper storage some sheets are slightly creased, inspection needed.